What a SMASH! 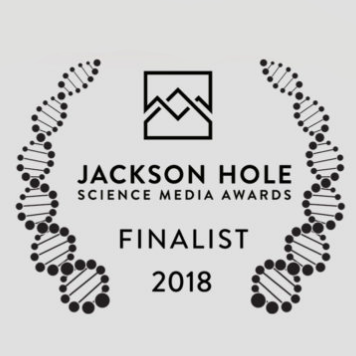 Vitamania get nominated for three awards at the prestigious 2018 Jackson Hole Science Media Awards (Best Science Journalism, Best Writing and Best Science Ambassador). Unfortunately Vitamania missed out, but to be a finalist is a testament to the level of scientific detailed poured into this documentary. Incase you missed it, you can still catch this fun and vital doco on Curiositystream. If you missed Jabbed or Uranium - Twisting the Dragon's Tail, you can catch up any time SBS On Demand. Playing all throughout 2017. Genepool's URANIUM - Twisting the Dragon's Tail took home the Department of Industry, Innovation and Science Eureka Prize for Science Journalism. This continues the hot streak for this documentary series edited here at City Post by Wayne Hyett ASE and Alex Archer, having also been nominated for 2 AACTA awards including Best Direction in a Documentary and winning 3 ATOM awards for Best Factual Series, Best Documentary History and Best Documentary Science. Produced by Tangled Bank Studios together with Genepool Productions, VACCINES is the American update of the earlier documentary, JABBED - Love, Fear and Vaccines. The new film illuminates the latest science of immunisation, tracks recent outbreaks and sheds light on the risks of opting out. The post-production was an extensive 16-week edit by Wayne Hyett A.S.E., graded by Colourist, Dee McClelland and mastered at City Post. This incorporated the amazing visual effects from Animation company 21:19 headed by Dom Bartolo, with a music score produced by Dale Cornelius and sound design by Tristan Meredith. Episode one of URANIUM– Twisting the Dragon’s Tail has premiered on SBS Australia. This stunning Australian-made three-part documentary series explores the incredible story of Uranium, from its creation in an exploding star to its deployment in nuclear weapons, nuclear power and nuclear medicine. It’s a journey across nine countries and more than a century of stories, to discover the rock that made the modern world. It’s part science, part history and all epic adventure. Join physicist and YouTube phenomenon Dr. Derek Muller, as he reveals the untold story of the most wondrous and terrifying rock on Earth. Post-production began 6 months earlier at City Post and ended with the creation of 9 unique domestic and international versions of the series. The series will be screened in the U.S.A with PBS and throughout Europe. URANIUM – Twisting the Dragon’s Tail was created by Emmy Award-winning Genepool Productions (part of the CJZ group), produced by Sonya Pemberton and written and directed by Wain Fimeri. City Post welcomes back Genepool into the suites. This is continuing a long standing collaboration across documentaries Catching Cancer, Jabbed and the Emmy Award Winning Immortal. the three part documentary series Uranium: Twisting the Dragon's Tale is an epic three part documentary series set all around the world looking into one of the most transformative elements from last century.